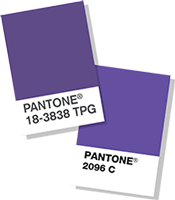 When the Pantone Color Institute announced Ultra Violet would be the?Color of the Year for 2018, we knew designers would find inventive ways to integrate the tone into their spaces. 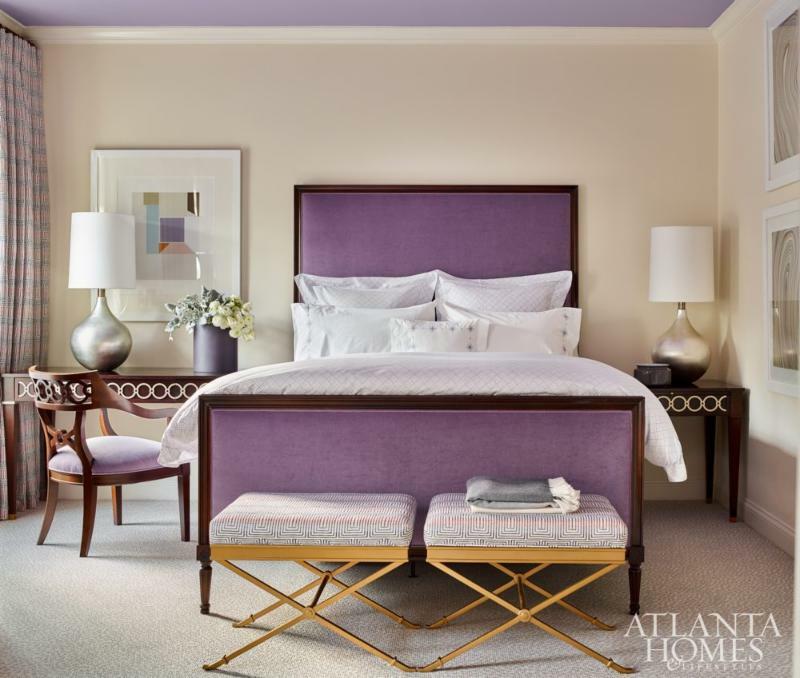 Right now, inventiveness and imagination are the name of the game, and some top designers have found intriguing ways to utilize this vibrant hue, like with paint, headboards, upholstery, decorative accents, and of course, rugs! Below are some of our favorite KWA rugs that rely on everything from subtle splashes to entire swaths of purple to enhance their designs. Between Agras, Oushaks, and Tulus, these timeless pieces are on-trend in both color and design. Which one is your favorite? Atlanta Homes and Lifestyles?2017 Home for the Holidays Showhouse. They each feature their own unique shades of purple. Above: a?12′ x 15′ Turkish Oushak?graces the floor of the living room. Below: a complementary?10’4 x 14’1 Turkish Oushak?grounds the bar. 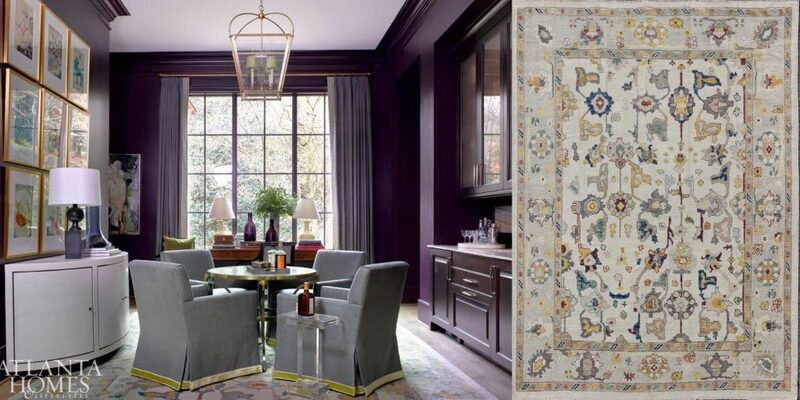 This?vintage Tulu carpet?features a darker purple shade in the latticework design that expands across the central field. At 2’6 x 3’7, it’s a smaller, yet remarkable, piece. 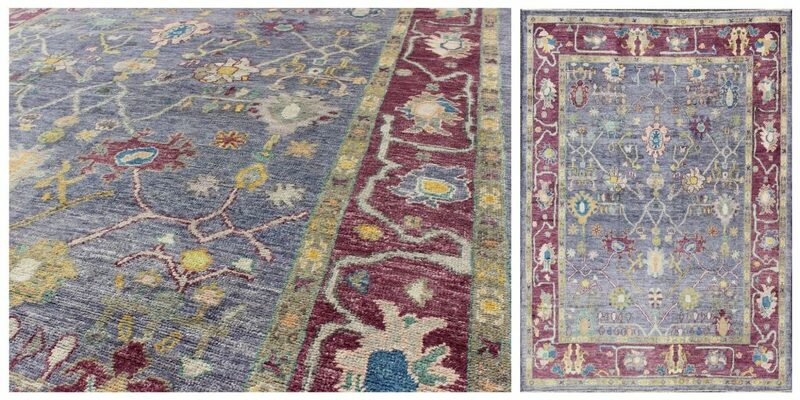 Similar in design to the carpets Robert Brown used, this?Oushak?features a variety of purple shades, with a lighter violet in the field and a darker purple in the main border. This piece measures 7’11 x 10’9. 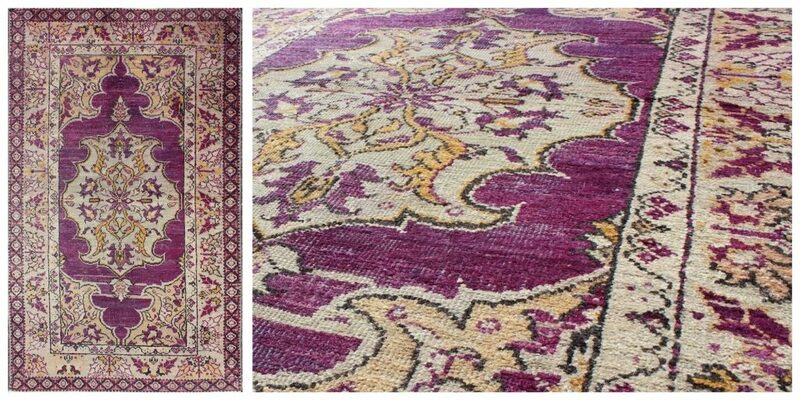 This?vintage Oushak from Turkey?is adorned with a darker, almost berry-like shade of purple, in both its background and designs. It measures 3’7 x 6′. 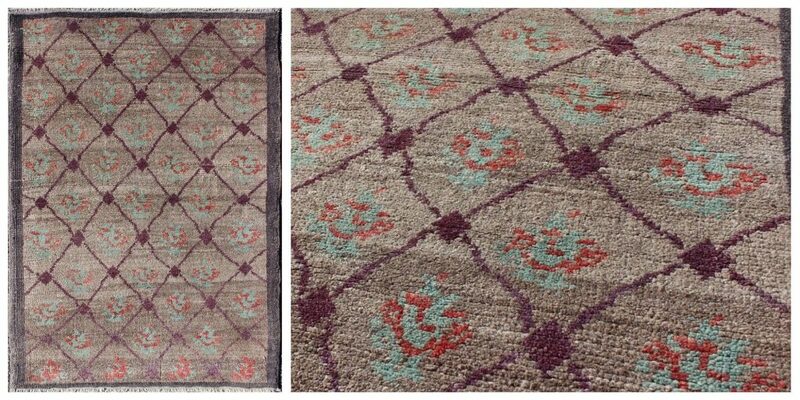 This?Mid-Century Oushak runner?is characterized by a variegated field of many shades of purple, which ground the floating tribal medallions. Its measurements are 5’7 x 12’8. 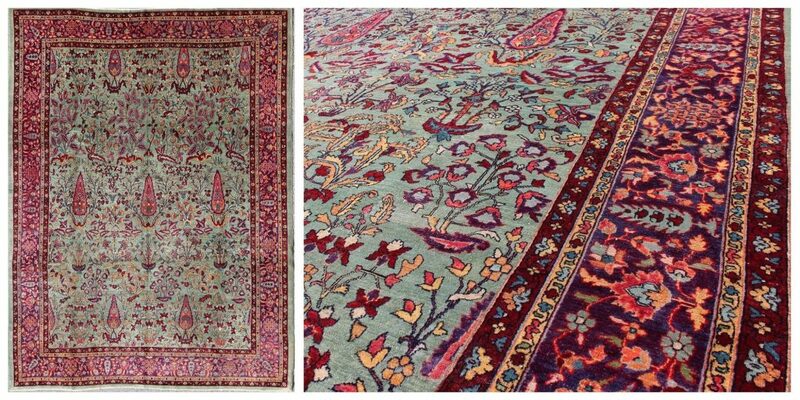 This?antique Indian Agra carpet?features a bold shade of violet in the background of the main border. It measures 10′ x 12’10. 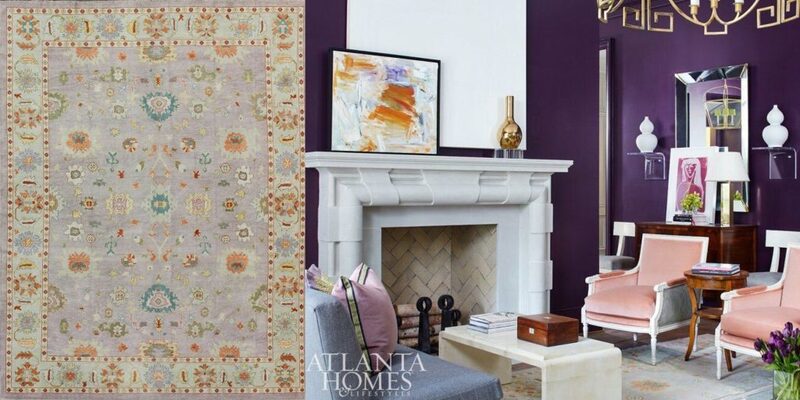 A multi-colored?Turkish Tulu rug?boasts violet as one of its many hues. It measures 7’8 x 10’11. Leave your questions about our Ultra Violet-inspired carpets in the comments below. 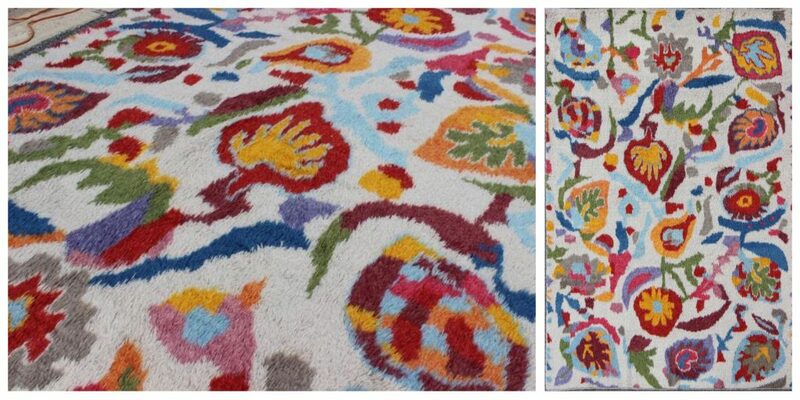 And click here to browse more carpets by design on our website.